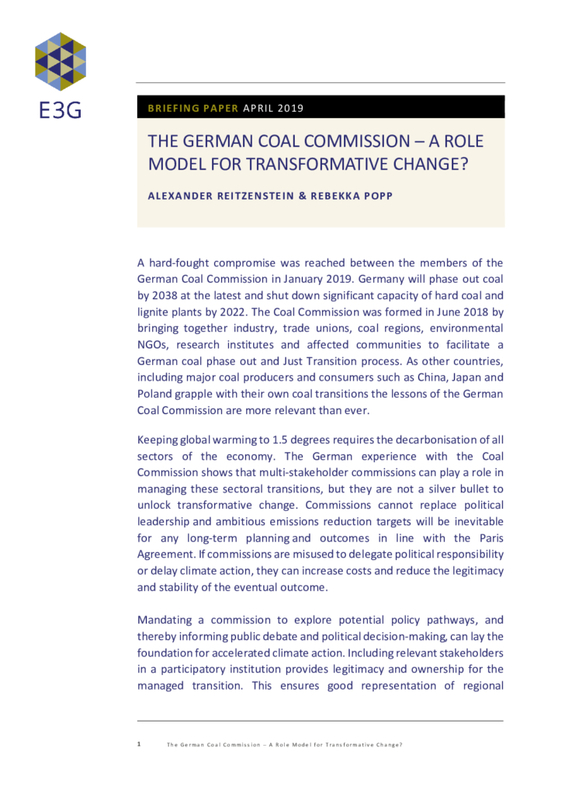 Briefing Paper: The German Coal Comission – A Role Model for Transformative Change? The briefing paper by E3G analyses what lessons can be learned from the German Coal Commission for transformation processes in other countries (especially the CEE region) and sectors. Key findings are multi-stakeholder engagement, astrong regional component and a mandate to lay out multiple policy options. The analysis is part of an EUKI project with CEE Bankwatch and DUH. The results were published in an English briefing paper and a German summary.